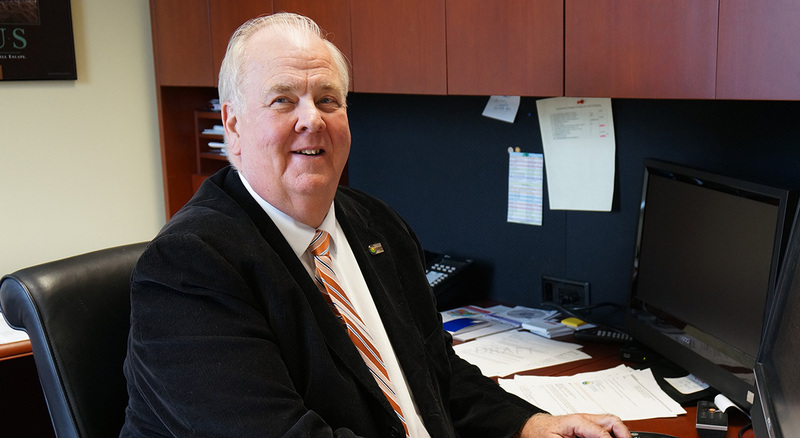 Edwin H. Humphrey began his tenure as a Clermont County Commissioner on Nov. 12, 2008, and serves as Vice President of the Board for 2019. He is past president of the County Commissioners Association of Ohio (CCAO). He is past president of the Ohio-Kentucky-Indiana Regional Council of Governments Board of Directors, and is currently a member of the board. Mr. Humphrey was appointed by former Gov. John Kasich to serve on the statewide Emergency Services Internet Protocol Network Steering Committee to represent CCAO. He also serves on the Clermont County CIC, Inc., the Clermont County Investment Advisory Committee, and the Adams/Clermont Solid Waste Management District Board of Directors. Mr. Humphrey is a lifelong resident of Miami Township where he and his wife, Janice, have raised three children; they are the proud grandparents of eight. For 19 years, before becoming a commissioner, Mr. Humphrey served as a Miami Township Trustee. He has been active in numerous community service positions, including volunteer firefighter/paramedic and chief of Miamiville Fire & EMS. Mr. Humphrey is retired from Procter & Gamble, has worked as a computer consultant and trainer, and was the Executive Director of CART (Clermont Area Rural Transit) and CTC (Clermont Transportation Connection) between 1998 and 2000. He holds a Masters of Business Administration degree from the University of Cincinnati. Contact Commissioner Humphrey at 513.732.7300 or by e-mail at ehumphrey@clermontcountyohio.gov.